The difference between a weed and a flower is often in the eyes of the beholder. Similar to garden plants, weeds can produce colorful flowers and attract beneficial insects, like bees and butterflies, to the yard. 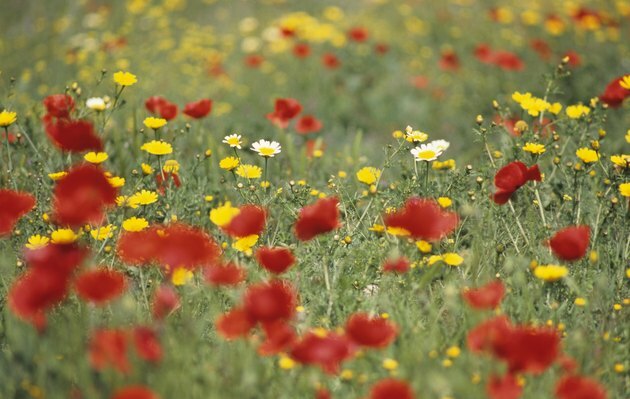 Determining which plants are weeds in your garden depends on several factors. A field of blooming wild spring flowers and weeds. Any plant that grows where it's not wanted is a weed. A case in point, the common blue violet (Viola sororia, U.S. Department of Agriculture plant hardiness zones 3 through 7) is often considered attractive in a flower bed but may be perceived as a weed if it begins spreading in a lawn. Weeds also compete for nutrients, sun and water, and, like the common chickweed (Stellaria media), may host pests or spread diseases to other garden plants. 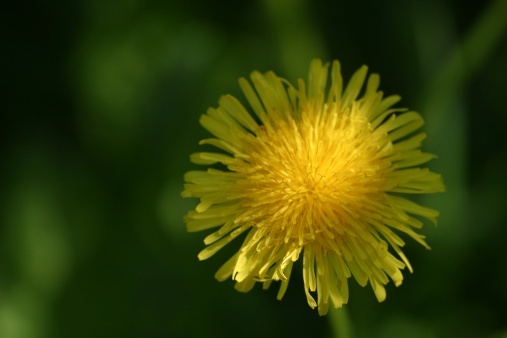 Some weeds, such as dandelions (Taraxacum officinale, USDA zones 3 through 9), aren't invasive on a large scale because they don't choke out native plants, but they can overtake gardens. Dandelions are also difficult to eradicate because of their airborne seeds and long tap roots that will regrow if broken off in the soil. Other weeds, such as purple loosestrife (Lythrum salicaria, USDA zones 4 through 9), which is classified as extremely invasive, spread primarily via prolific seed production. The Maryland Department of Natural Resources notes that one mature purple loosestrife plant can produce more than 2 million seeds annually. What's the Difference Between Sunflowers & Weeds?